The checklist for a wedding is pretty standard, at least when it comes to your wardrobe. Whether you want a simple dress, a colorful one that goes against tradition, the white pantsuit of your dreams, or the perfect outfit for your destination wedding, you'll always need certain things to complement it. From comfortable shoes that will allow you to actually enjoy your day to stunning jewelry to a veil or a handbag, the list goes on. However, if you're going to throw a winter wedding, you can't overlook one thing that is just as important as all the things mentioned above. We're talking about a coat. It may not have popped into your head at first, but it’s an essential you can’t really ignore. Whether you wear it to and from the reception or want to make a statement alongside your dress, it’ll be necessary at some point in your big day. Nobody wants to feel numb from the cold on what some consider the most important day of their life. So, if you love the coats you currently own but they’re not necessarily wedding material, we’ve put together 20 winter wedding coats for the bride. From cropped coats your dress can still peek through to oversize outerwear that adds just the right amount of “extra” to your wedding, there’s one for you to keep and wear even after the day is over. 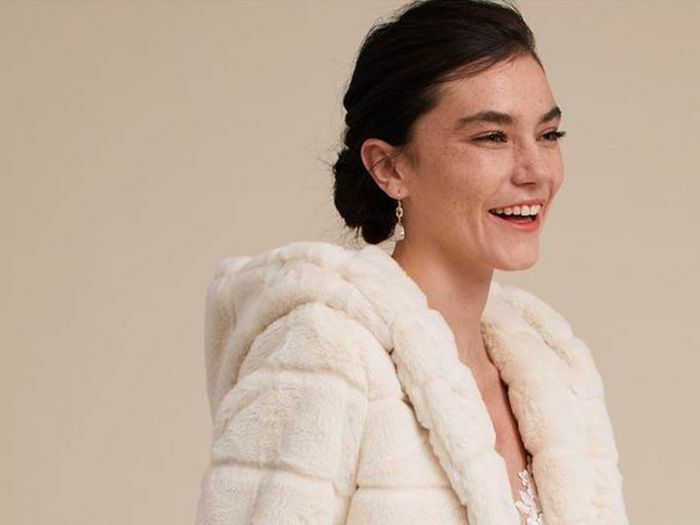 This coat will be a hit on your wedding day (and on Instagram). An amazing option under $100. Keep your dress a surprise under this chic snap coat. Opt for a coat with a subtle hint of fur. Perfect to wear even after the wedding is over. Whether you wear this coat open or cinched, it will look stunning with your dress. When one coat isn't enough, opt for this double layered one. This one has a hood. What's not to love? If you're feeling a bit extra on your big day, this coat will suffice. Be a #GanniGirl even on your big day. Perfect if you want to make a small statement. A puffer jacket, but make it fashion (and bridal-friendly). 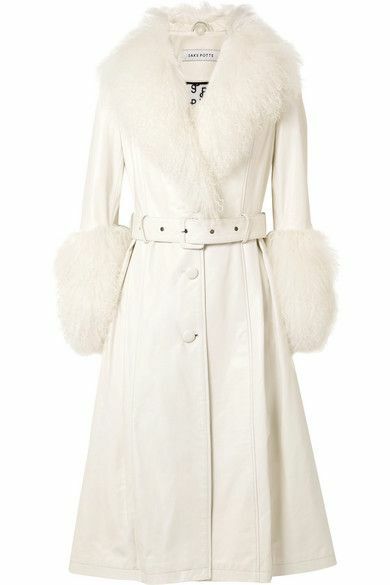 Imagine how good this coat would look with your pearl jewelry. If you want a jacket that's just as cozy as a coat, this piece is for you. Guaranteed to make you feel like a princess. Fur coat, but with a twist. If you want a statement coat, consider this Marni beauty. You can't pass up this deal. This price is hard to beat. If you still don't know what to wear under your coat, might we suggest these dress styles?